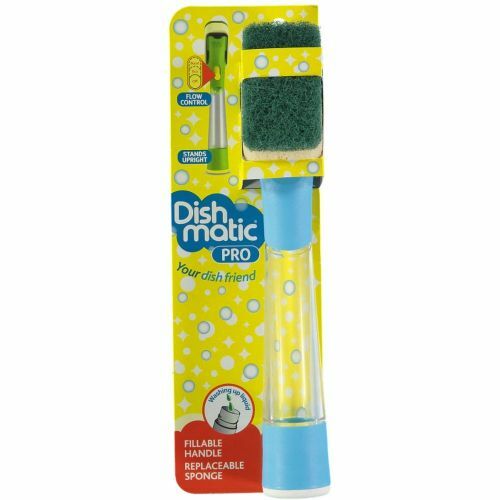 NEW Dishmatic Pro S Premium Washing Up Brush - LIMITED TIME ONLY! 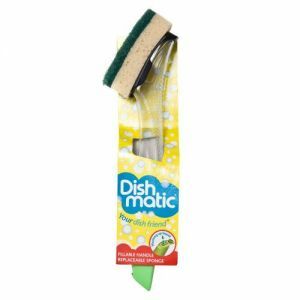 Dishmatic is a dispensing fillable and refillable washing up tool. 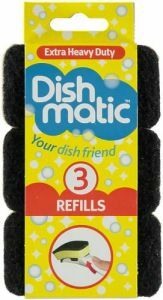 Dishmatic - Your dish friend. 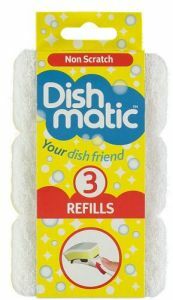 Stunningly simple and fantastically effective, Dishmatic is an essential aid to dishwashing that’s loved by everyone who uses it. 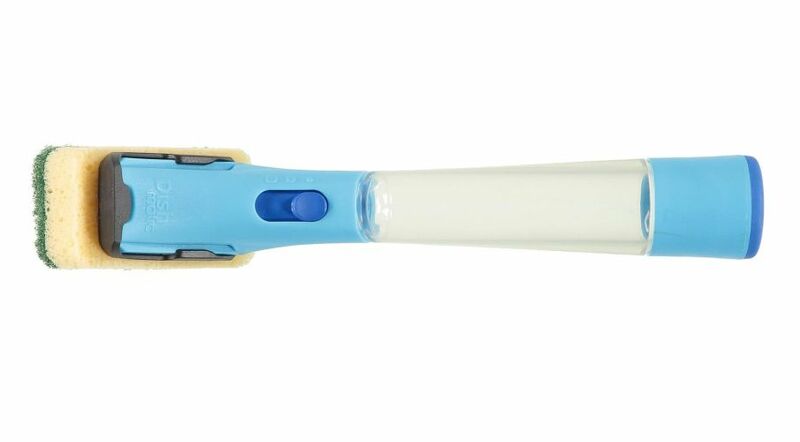 The Dishmatic Pro handle comes with extra features – a flow control mechanism to allow you to select the level of washing up liquid required depending on the cleaning task and it stands up so you can store within easy reach at all times. 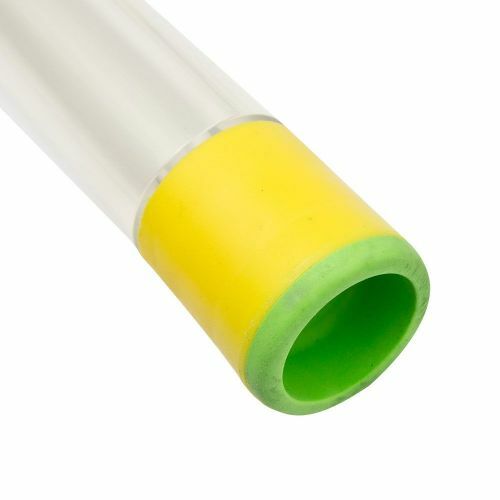 Suitable for use with our full range of interchangeable heads. 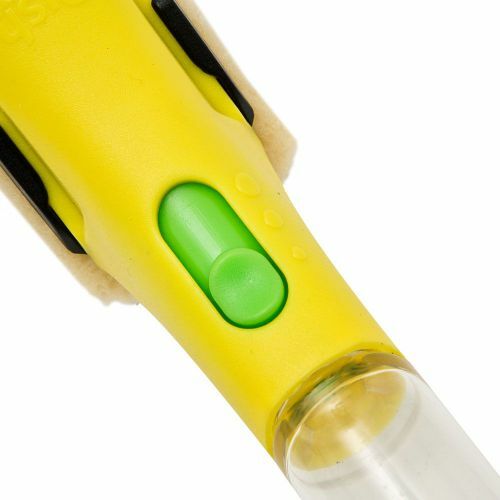 FILL - Simply open the cap and fill with your favourite washing up liquid. 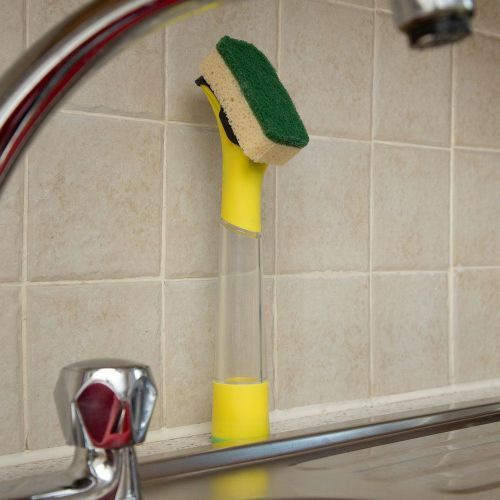 DISPENSE - The washing up liquid is automatically dispensed through the sponge head as you wash your crockery and pans, leaving your dishes spotlessly clean. 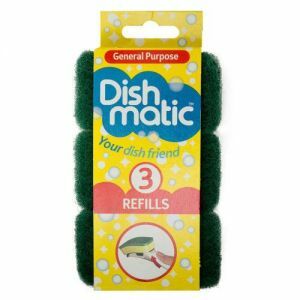 REPLACE - Your Dishmatic is designed to last but when the sponge head is worn, simply unclip and replace it. 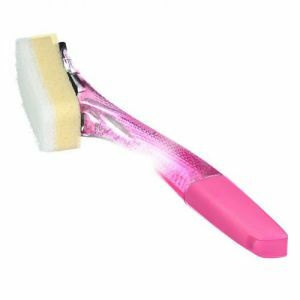 Kind to hands - Doing the hard work to help protect your skin and nails. Kind to the environment - Dispensing just enough washing up liquid and making use of recycled plastic.